This is a true story about me and my son, and our Christmas tradition. The story starts when I was a boy. I wrote it years ago for my boy’s sixth birthday, which came right after we planted his first live Christmas tree. He asked about the story the other day as we were decorating, so I dug it out, and here it is. This is pretty much just how it all happened. Once there was a boy who lived with his family in a brand new house. It was the only house in the middle of a big, open field of tall weeds. He liked to walk through the field and the woods nearby, and he would ride his bike on the dirt roads that carved the field into big squares. One day he noticed another house being built a couple of roads down, then he noticed another, and after a few months it seemed that there were houses all around, in every direction, surrounding his house. The dirt roads turned into paved streets, neatly lined with concrete curbs and green grassy lawns. One of the last empty lots was just across the street. In the middle of the lot was a little tree, a maple sapling, about two feet tall. The boy knew that it would not be very long before the tree and the ground around it would be dug up and a house would be built there, too. So, one day he took his shovel and dug up the little tree. 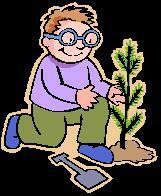 He carried it across the road, dug a hole just big enough to fit, and planted the tree safely in his own back yard. The boy watered and cared for the tree as the years passed, and as he grew into a young man. Then, as young men often do, he moved far away. But every now and then he would come back to visit, and he always made sure to check on his tree. The little maple sapling grew very, very tall, far taller than any of the rooftops on any of the houses. Then this man had a boy of his own, and he loved him very much. Every year, on the Friday after Thanksgiving, Daddy and Son would go to the Christmas tree lot and the boy would pick out his favorite tree. He would help his father decorate the tree, and for the finishing touch, Daddy would lift him up so he could place the angel high on the very top of the tree. Now, this past Christmas was a little more special because Dad asked the boy if he wanted his own little Christmas tree in his bedroom. Of course he said yes, so they picked out a small pine tree, about two feet tall, that was still growing in its little pot. They decorated the tree, and for a few weeks the lights on the tree served as the night lights in the boy’s bedroom. A few days after Christmas, after all the decorations were tucked back into the closet until next year, Daddy and Son took their shovel into the back yard, dug a hole just big enough, and planted the little pine tree. Dad said, “Some day when you are all grown up, you can come back and see what happens to this tree. 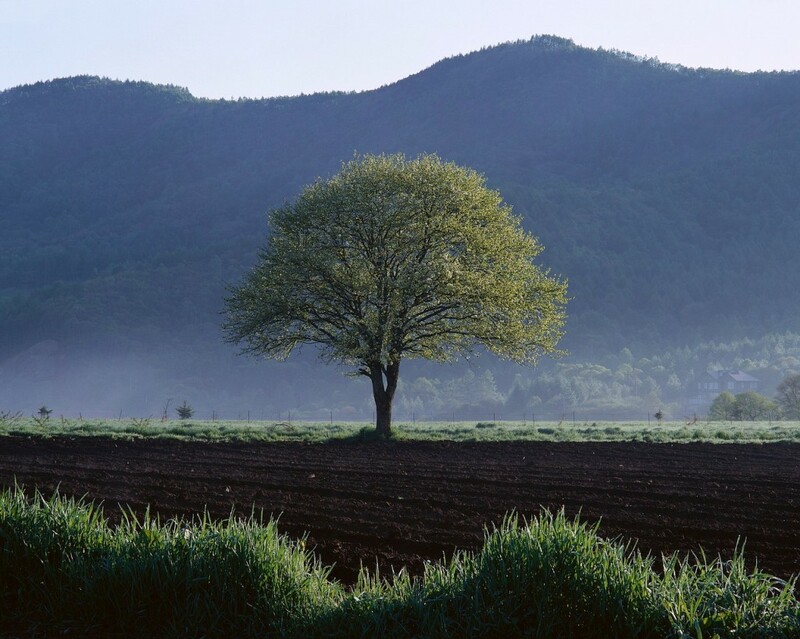 Because you will remember this small and tender tree, and God willing, it will grow to be very big, and tall, and strong, like another tree I remember. And just maybe, someday, you will have a son of your own, and you will think he is the best boy in the world, and with lots of love and care, you will see him grow big, and tall, and strong. Because that’s what happens to little boys and little trees. 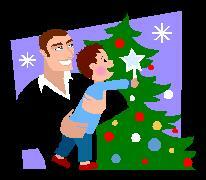 This entry was posted in Uncategorized and tagged Christmas, family, father and son, tradition, tree. Bookmark the permalink.